Book Challenge Day 7- Most Underrated Book | What are we...the Whos? This book is the first in a series of six half great and half horrible books. But overall, a solid and very interesting series. I bet most of you have never heard of this book or the series it belongs to. However, I’m willing to bet some series dough that you’ve heard of the second book in the series, The Other Boleyn Girl? See, I knew you knew it. While that was a very good book, The Constant Princess was just as good but has, for some reason, never reached the same hight of popularity. Definitely a shame, and definitely worth your read. Get ready for “A book that scares you” tomorrow! 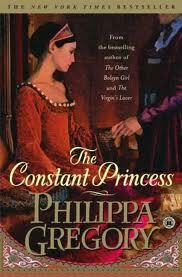 Posted in Authors, books, Reading and tagged 30-Day Book Challenge, Historical fiction, Philippa Gregory, The Constant Princess, The Other Bolelyn GIrl. Bookmark the permalink.